And so, Ice Cream Boat was born. The brothers have built the business from the ground up, all on their own – buying boats and engines and an official “Good Humor” cooler from Craigslist. They maintain their equipment, consider the best places to sell Ice Cream and on holiday weekends, expand their operations to send out two boats. They started out with Dry Ice to keep their wares cold, and realized they needed a less labor intensive and more reliable refrigeration method. It’s been trial and error – always moving forward and getting better. 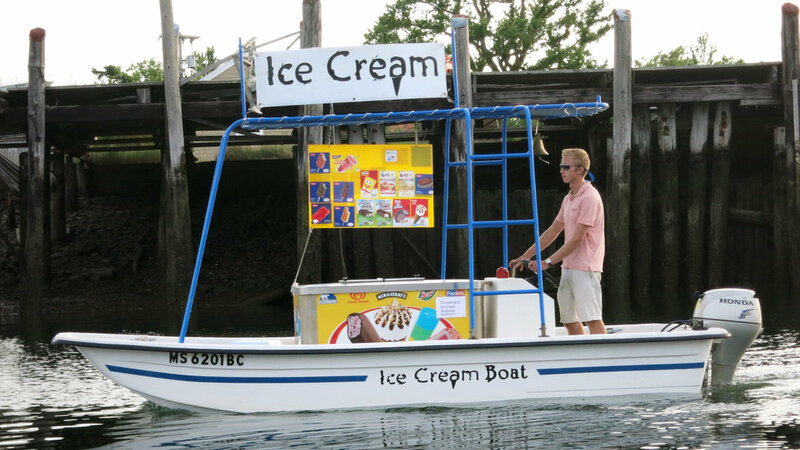 For the past couple of summers, Tim has taken over the day-to-day operations of the Ice Cream Boat, alongside lifetime buddy Matt Mullin (SHS ’14). They can usually be found in the areas around Cotuit Bay and Sampson’s Island. And the word is, Tim is very generous to all SPS teachers he might encounter on the beach! By all measures, the Ice Cream Boat has been a great success. And it is expected that Tim Titcomb and Matt Mullin will be back out on the water next summer, following their freshmen years at Fordham University (Titcomb) and American University (Mullin). 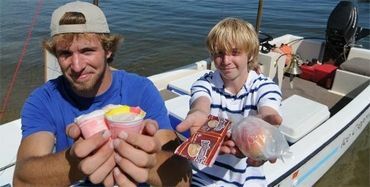 Vineyard Vines just wrote about The Ice Cream Boat on their blog. 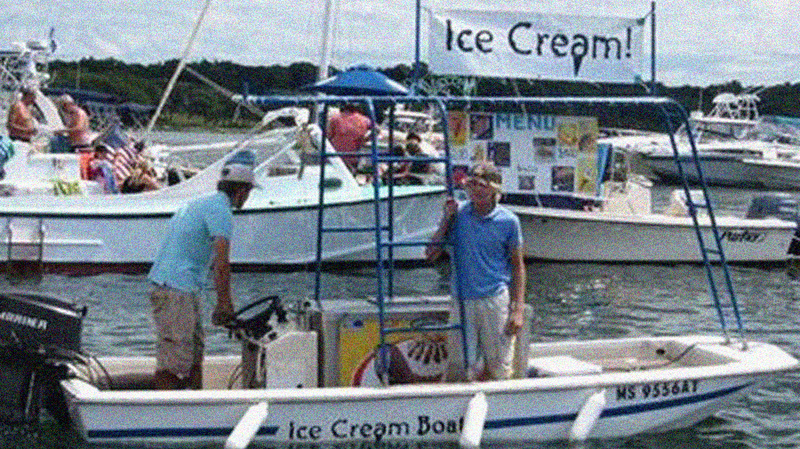 NPR recently featured Tim and the Ice Cream Boat in an article about the popularity of food boats & food trucks. And the Cape Cod Times had an article about the beginning of the business in 2009.